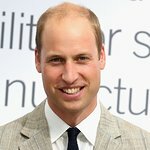 Britain’s Prince William has become a Royal Patron to Skill Force, a charity that provides for life skills courses for disadvantaged youth by drawing upon the experiences of Armed Forces Veterans. The organization reaches around 9,500 youth per year through partnerships with 260 schools across England, Scotland, and Wales. Special courses, run by veterans, allow for individualized attention for students. Student participants, often identified as at-risk of discontinuing their education, are particularly benefitted from the program, and have responded well to the “alternative” learning opportunities provided. Skill Force estimates that the percentage of youth who are not in education, employment, or training has shrunk to 3-6% of all students — versus the projected 23% that would not pursue the same opportunities in the absence of intervention. William’s choice to support Skill Force, the 13th organization that he patronizes, marks a continued advocacy for causes that advance the interests of youth. The Prince has followed his mother’s footsteps in choosing a charity that aids the homeless, Centrepoint, as one of the causes he supports. However, in addition to carrying on Princess Diana’s legacy of support for the needy, Prince William has chosen to lend his voice to those programs that focus on aiding young people by providing various opportunities, including sports. Learn more about the impact of Skill Force on community youth by visiting their homepage.